[NASA] On January 27, 1967, tragedy struck the Apollo program when a flash fire occurred in command module 012 during a launch pad test of the Apollo/Saturn space vehicle being prepared for the first piloted flight, the AS-204 mission. Three astronauts, Lt. Col. Virgil I. Grissom, a veteran of Mercury and Gemini missions; Lt. Col. Edward H. White, the astronaut who had performed the first United States extravehicular activity during the Gemini program; and Roger B. Chaffee, an astronaut preparing for his first space flight, died in this tragic accident. A seven-member board, under the direction of the NASA Langley Research Center Director, Dr. Floyd L. Thompson, conducted a comprehensive investigation to pinpoint the cause of the fire. The final report, completed in April 1967 was subsequently submitted to the NASA Administrator. The report presented the results of the investigation and made specific recommendations that led to major design and engineering modifications, and revisions to test planning, test discipline, manufacturing processes and procedures, and quality control. With these changes, the overall safety of the command and service module and the lunar module was increased substantially. 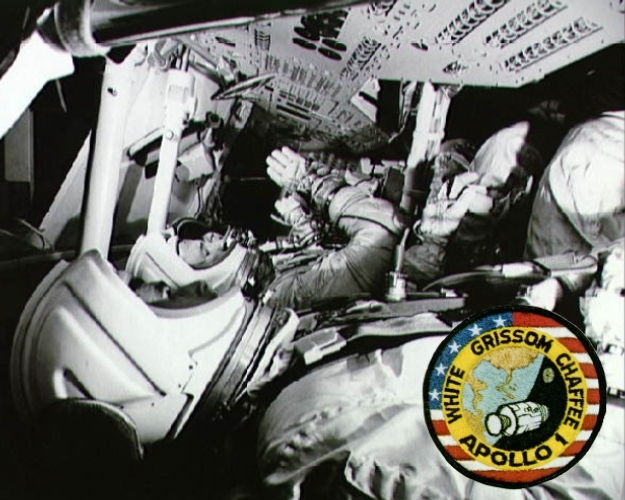 The AS-204 mission was redesignated Apollo I in honor of the crew.